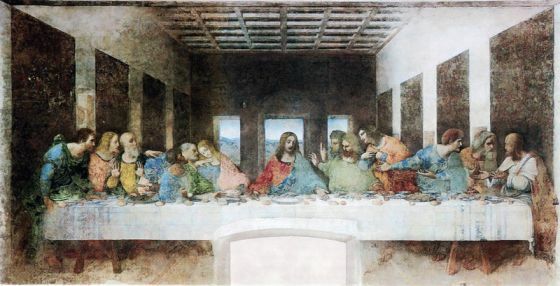 The Last Supper painting measures 15 feet by 29 feet and it is located in a former monks’ dining hall at Santa Maria delle Grazie in Milan, Italy. The world well known painting has never been privately owned. It became more and more mysterious after the successful publication of the worldwide bestseller novel, The Da Vinci Code. The mystery/detective novel by Dan Brown has abounded about the true meaning of the mural from the Christianity point of view. This entry was posted on Saturday, October 27th, 2007 at 8:47 pm	and is filed under Interesting Stuff. You can leave a response, or trackback from your own site. One Response to "The Last Supper"